You love doing your taxes right? Ok, so maybe that is a stretch. But rest assured, there are ways to make the process less painful. First, let's take stock of your situation. Are your tax-related documents scattered in envelopes around the house (that is probably the most frequent recipe for exasperation expressed by my clients)? Do you know which receipts you need to keep and where to keep them to ensure easy and efficient tax prep? Does the new tax law have you scratching your head and thinking now is the time to finally consider the services of a CPA? As an organizer one of my services is to help my clients to sort through and organize their paperwork to prepare for tax season. I have systems that I can recommend to enable the process to flow with less stress and hassle. Scattered papers and the lack of a systematic approach to filing your taxes wastes time and could cost you more money in the long run. Have you ever filed late because you couldn't locate what you need when you need it? Have you misplaced documents that provide proof of deductions? Even the easiest filings are time consuming so why add more time and frustration to the process? 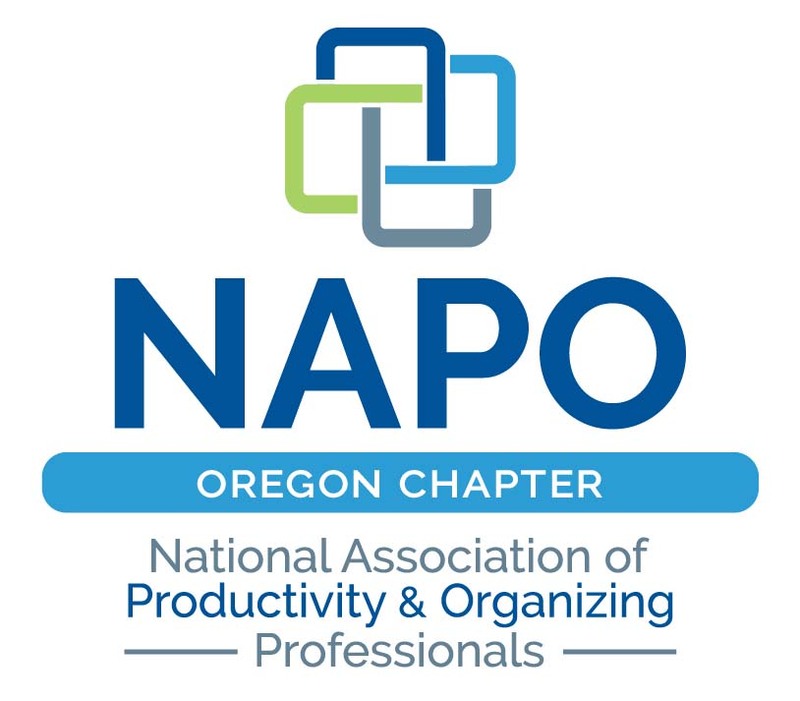 To expand my tax preparation vantage point, I recently sat down with Susan Hjort, Certified Public Accountant (CPA) from Ohanesian, CPA PC in Portland to elicit her ideas on how to simplify tax prep from a CPA's perspective. Whether you choose to self-prepare or seek outside assistance I hope that you find her suggestions and advice as useful as I have. Practical Sort (PS): What are the most common critical tax prep mistakes that you see people make? Susan Hjort (SH): One of the most common missteps is not seeking tax-related assistance prior to the end of the year. With proper planning inaccuracies and omissions can be avoided and measures can be taken to find hidden savings. Life events such as a death, home sales, annuity payments, retirement savings plan withdrawals affect tax situations and need to be handled with care. In a year with new tax laws, ask for help. Don't be caught unaware. This new tax law will create some big changes for people who itemize. State and property tax deductions are limited to $10,000. There are no more Miscellaneous Itemized Deductions. But with good planning, people should be able to save some money because the tax rates have gone down. To avoid paying more you will need to plan early. It appears that for individuals, MOST people should see a tax decrease of some sort from prior years. However, the biggest changes are for those who have a business of any sort. Make sure to consult with a tax advisor about what is the best entity type for your specific circumstance. The results can be very different depending on each individual tax situation. PS: When is the ideal time to begin prepping? SH: Every time you receive a tax-related document which is technically year round. Receipts for charitable donations, medical bills, stock sales should be systematically filed away as soon as you receive them either electronically or into hard copy folders. December through March as the 1099s arrive put them in an envelope or folder with the other receipts to bring to your CPA or to expedite the process if you self-prepare. PS: Is it better to file early or late? SH: That depends upon your situation. If you suspect that your Social Security number or IRS account has been compromised, you may wish to file early. If you are expecting a refund, then file early so that you will receive the money faster. The longer you wait, the longer it will take for the IRS to process your return. There does not appear to be an advantage waiting until the last minute if you are hoping to avoid an audit. Red flags will trigger extra scrutiny regardless. Waiting longer will only result in delays in receiving any audit notifications. In general, returns with incomes under $200k are less likely to be audited. In most cases those selected for audit usually require extra paperwork to be submitted so your documents will need to be in order. If you are working with a CPA, it is best to get your files submitted to them as early as possible so that they have time to adequately prepare them. Waiting until the deadline looms does not allow the CPA to do a thorough analysis. Keep in mind that you are not their only client. The deadline for my clients is March 25. PS: Do you recommend electronic or paper filing? SH: Electronic tends to be safer because less people are handling the submission. Paper filings go through a number of hands starting with mail carriers, then the IRS logs it in, another person inputs the data resulting in more layers of handlers. Electronic goes from the preparer through a third party to the IRS without the need for the IRS data entry. PS: When would you recommend considering working with a CPA vs. self-prep? SH: The trigger ideally is when you are beyond your comfort zone with tax software. A CPA can help you maximize benefits, avoid mistakes, and take advantage of various ways to save money that you may not have considered. As a rule, if you experience a life change, such as marriage, homeownership, having a child, or a new job, seek assistance. If you are starting a small business then talk to a tax professional for advice. Once your small business nets income over $40K or $50K, a change in entity might be recommended. Time to talk to the CPA again. If you are wondering what the difference is between a Tax Preparer vs. a CPA, a Tax Preparer simply enters the data while a CPA analyzes each individual's unique situation and provides advice to provide the greatest financial benefit for the client. PS: Do you prefer to receive electronic or paper copies from your clients and what types of documents do you need? SH: Our office is moving to a more electronic process with stringent security measures. There is no Wi-Fi in our office. Our double password protected files are backed up to a local network server housed within our office space and backed up to the cloud. Any paper files we have are locked up at night. For the most part we do not need receipts barring a few exceptions such as fixed assets. For example, that might mean receipts for an installed solar panel to receive energy credits or a new vehicle purchased for business use. Spreadsheets are acceptable for items such as rental interest or small business expenses. 1099 forms for interest, dividends, retirement, social security, state or local tax refunds, etc. In addition Susan's advice, The Practical Sort would like to add some thoughts from an organizer's perspective. If you own a small business keep all business-related receipts. As ink on receipts fades, you might consider computer/Cloud backup copies. Also, avoid paying with cash but if you do, be sure to obtain a receipt. As always, back up your return on your computer, to an external drive, and/or to the Cloud if you feel comfortable doing so. I hope that you found Susan's sage advice useful. 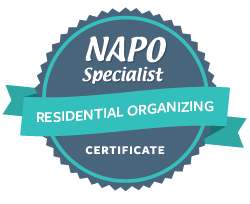 If you need a hand getting your paperwork organized, let's get a jump on that right away by contacting ThePracticalSort.com. Note: The Practical Sort is not an accountant nor do I provide tax advice. The intent of this blog is to help you get as organized as possible to minimize the distress during tax filing season. Please consult an accountant/CPA for tax specific questions.